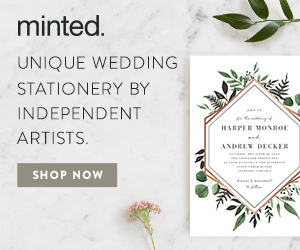 5 Reasons to Capture the Magic of Your Wedding Day with Abstract Art — Catalyst Wedding Co.
What Makes your Wedding a Day to Remember? Is it the flowers in just the right shade of purple? The venue that perfectly suits you? Taking the most delicious bite of cake? Or is it the laughter, the tears, the joy, and the love that bombard you all day long? I Once Read that You Don't Remember What Your Wedding Looks Like, You Remember How it Feels. When I think back on my own, I'm not sure I agree — but maybe that's because I have a collection of beautiful photos to remind me of the visuals when I forget. But what do we do to preserve how our weddings feel? 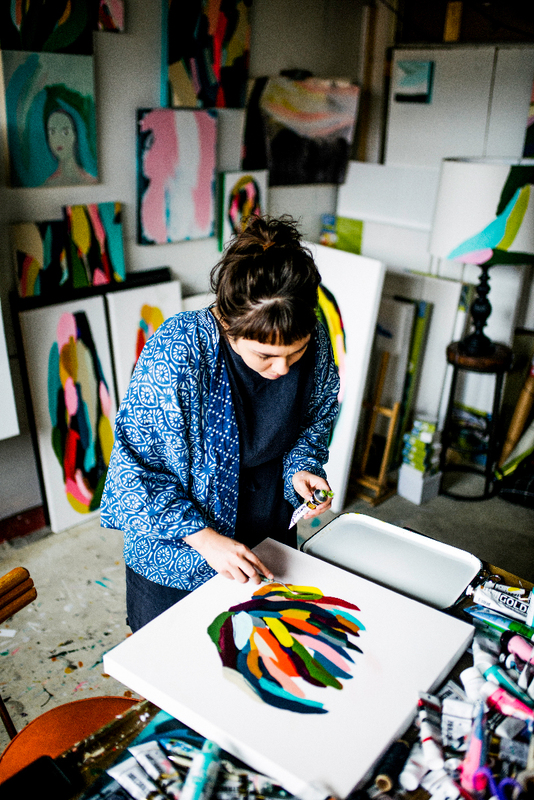 Angie Barker of Angie the Rose has an idea: capture those fleeting moments with abstract art. It's a symbol of the event and a reminder of the promises it stands for — especially if you're planning to have children — there's something beneficial about having a representation of your love while giving young minds something to think about. 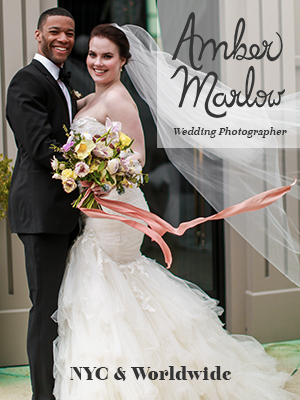 Angie will capture your memories and feelings with a custom painting that evokes your wedding day. Collaborate with her on a color palette that inspires you and the nuances you want in the painting: light or dark, airy or complex, what kind of movement and shape it should have. Share some of your interests to be incorporated as abstract ideas, and even suggest the music she should listen to as she paints. When she's done, you'll have a unique starting piece for your home gallery that can become a family heirloom. When you walk by it every day, you'll be reminded of your wedding and the love it celebrates. It's a beautiful painting that I absolutely fell in love with. When someone reached out to purchase it, I had this heartache of never seeing it again. Creating that helped me to realize that all of my paintings are precious to me; that's the part of life that's letting go. There's a little part of me that's going out into the world. Maybe I'll see it again and maybe I won't. This painting is my favorite because it really cemented the idea of the molecular series based on movement and pattern. It was the catalyst of it all. When I became an aunt, I was all about feminism and science, and I wanted to create a series where my niece could figure out that science can be fun and that it’s not just a man’s field. I want her to feel empowered when she’s older, I want her to think “I can do anything.” That’s what jump started it. Then I started reading a lot of scientific articles. There was one I read that was about when your heart experiences trauma, the little molecular cells send out a signal and tell the rest of the body to help repair them. It’s kinda cool that all these things are happening inside of us and we’re not doing a thing to instigate it. I love that hands off approach, and that’s why I like to think we have this macro universe inside of us, kind of like we’re made of stardust. I try to think take those big ideas and bring them back down to our reality, and go even further down and abstract the reality. Abstract art can also be a unique gift to your wedding party or parents instead of the usual jewelry and neckties. Angie can create a series of small abstract paintings in your chosen colors that showcase the individual personalities of your loved ones. If you're a couple who values art, why not start your marriage with an original work from Angie the Rose? I've been honing and seeking my voice as an artist since I was a little girl wanting to paint in each and every class at school. Art is in my blood. It flows in me and inspires my every waking moment to appreciate the beauty that surrounds me. My studio is located at 205 Collaborative in Greensboro, NC. 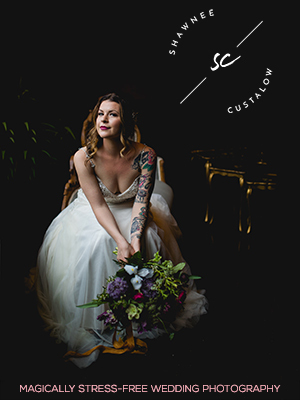 Cindy Savage is an Assistant Editor at Catalyst Wedding Co and the lead wedding planner and owner of Aisle Less Traveled, based in St. Louis. She helps independent, feminist, and LGBTQ+ people plan meaningful weddings while keeping their budgets and their sanity intact. She firmly believes that everyone who has found love deserves a great wedding, no matter what size their budget is - and to make that a reality, she invented Choose Your Own Wedding, an internet-based wedding planning subscription to offer comprehensive planning support at an affordable price.